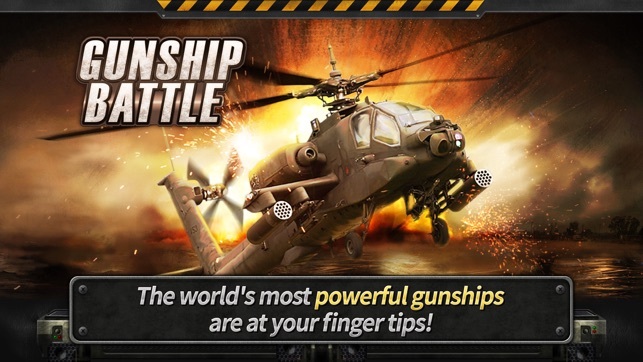 The world's most powerful combat helicopters are here, waiting for you to take control of them and rain destruction on your enemies! Become a helicopter pilot and suppress minor conflicts or even war in various corners of the world. 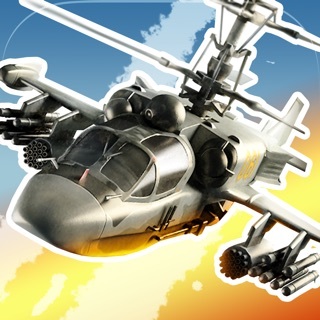 『GUNSHIP BATTLE』 is a helicopter battle action game that combines state-of-the-art 3D graphics technology, flight simulation and modern military information. The moment you start the game, you will lose yourself in the excitement of a new kind of action game that you have never experienced before. 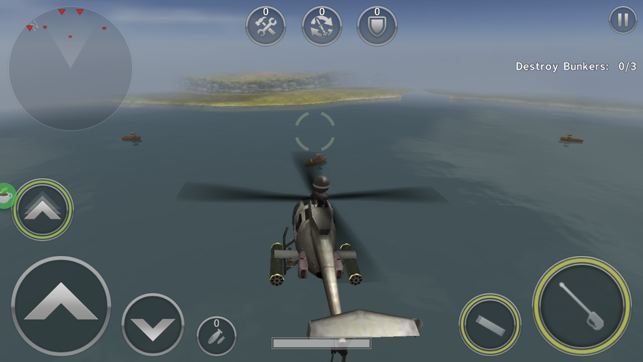 ▷ The game uses operation control optimized for 3D flight, which makes it easy for anyone to enter the game. 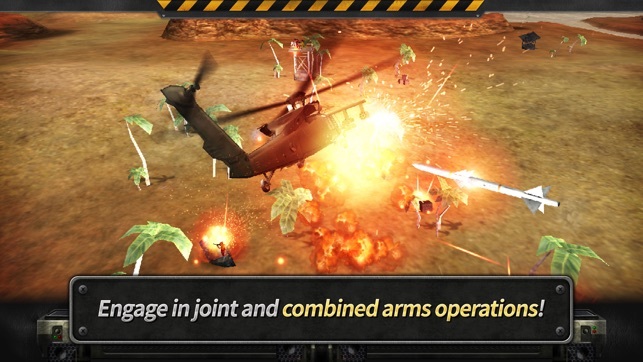 ▷ Some of the world's most powerful combat/multipurpose helicopters are available in the game. 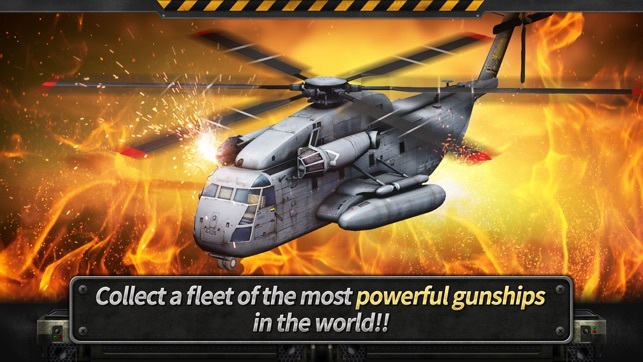 Each helicopter has its own unique and interesting characteristics and can be customized with various weapons and devices of your choice. 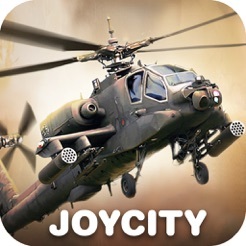 ▷ You can mount a variety of weapons and special equipment of your choice, such as radar and boosters, depending on the characteristics of your helicopter. 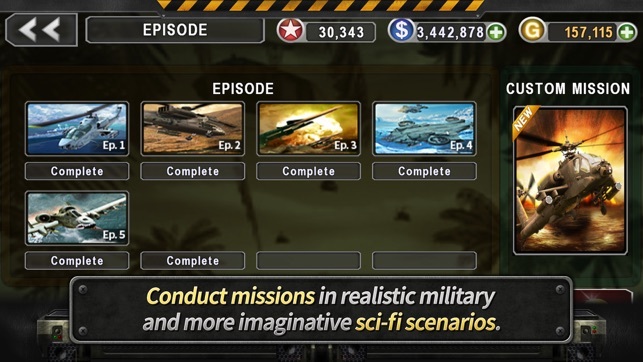 ▷ Episode mode consists of story missions that were created based on actual stories of various wars and conflicts that took place in the real world. 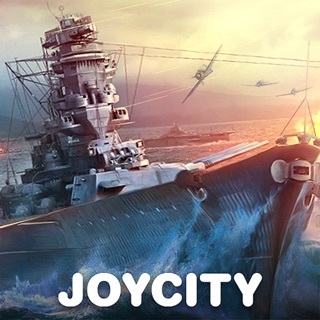 ▷ After you played an episode, you can either up the challenge and play the game at a higher difficulty level or enjoy playing a customized mission. 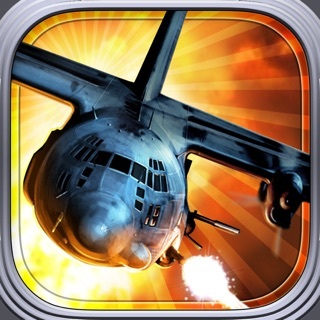 If you enjoyed FPS, shooting or racing games, try GUNSHIP BATTLE. 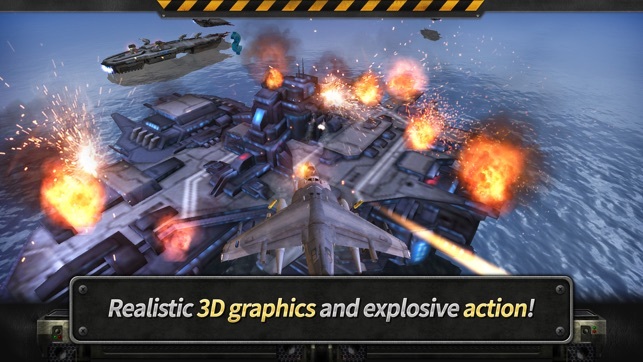 What could be more thrilling than flying across the sky in the middle of intense enemy crossfire! 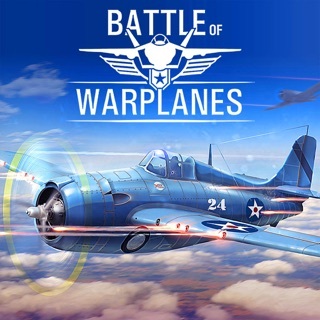 1) New Gunship F-8K has been added. 2) Episode 28 has been added. 3) 2x Reward Stages on Custom Missions have been changed. First of all I would like to say that I enjoy this game immensely. That being said, though, I was in the negative in cash in working my way back through the use of the use of the special missions feature. I won some cash and watched in horror as it reversed my winnings and removed one million in cash before my eyes. I literally watched it move back. I love this game...but not that much. PS Your contact page is difficult to understand and not well thought through. Should I go ahead and say that you guys are huge rip off...wherever you are. Delhi, Tsing Tao, Nigeria..somewhere deep in the former Soviet bloc. Are you gonna send me a canned response like you have everyone else. This game now forces you to watch ads. You can’t even exit the ad anymore. Every time you start the game, there’s an ad. When you click on the missions, there’s an ad. When you finish a mission... you get the point. You’re supposed to log and play for 1.5 hours to get some free stuff, but the stupid game crashes and won’t let you get your stuff so you have to shut the app and restart all over, no matter how far you were into the 1.5 hours of game play. Not worth playing anymore.